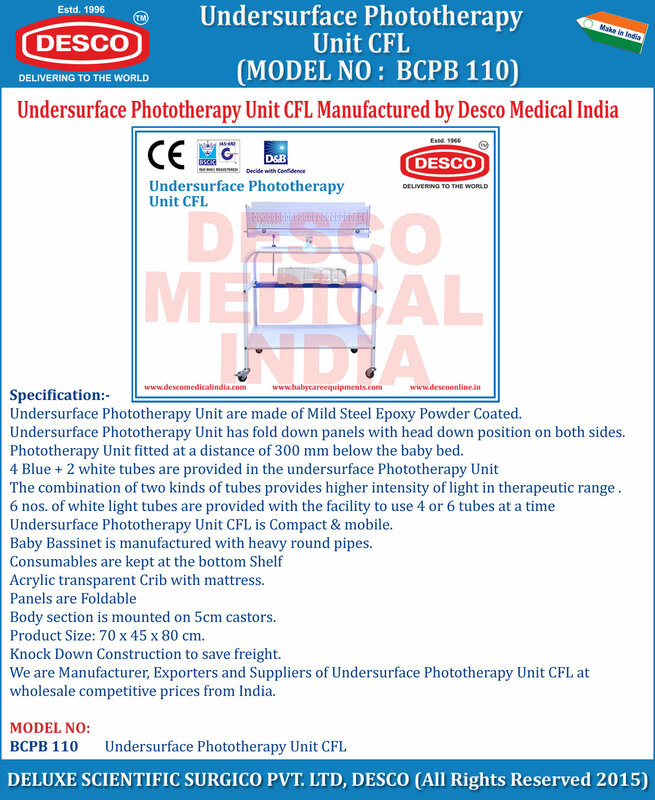 Undersurface Phototherapy Unit are made of Mild Steel Epoxy Powder Coated. Undersurface Phototherapy Unit has fold down panels with head down position on both sides. Phototherapy Unit fitted at a distance of 300 mm below the baby bed. The combination of two kinds of tubes provides higher intensity of light in therapeutic range . Undersurface Phototherapy Unit CFL is Compact & mobile. We are Manufacturer, Exporters and Suppliers of Undersurface Phototherapy Unit CFL at wholesale competitive prices from India.